ic! berlin brillen GmbH is a German company which designs and produces high-end, handcrafted eyewear in Berlin, and distributes it worldwide. The company was founded in 1999 by Ralph Anderl. ic! 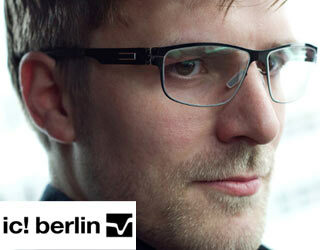 berlin produces eyewear from 0.5mm thick stainless spring steel sheet metal, using a patented hinge design which avoids the use of any screws, welds, or glue in the construction of their frames. The combination of materials and techniques allows their products to be light and flexible.